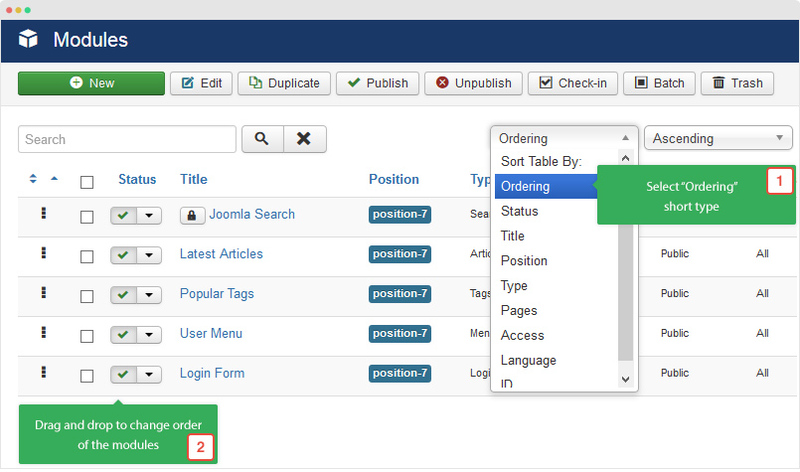 Explain what is Joomla position, how to assign module to a position, how to re-order modules. 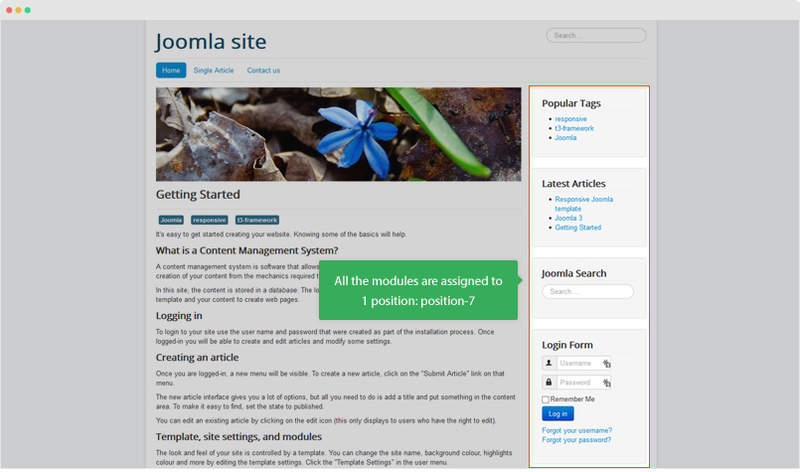 What is Joomla position ? 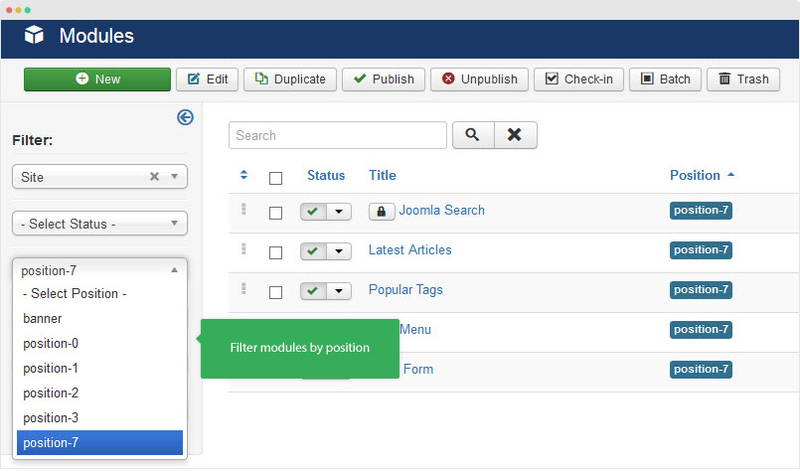 Each Joomla template layout is built with positions that you can publish Joomla modules to. Each position is a placeholder in a template to fill with different type of conten. The position system in each template is different depending on the designer as each template could have different layout structure, number of positions. How to view available positions ? You can view all available positions of current used template. To do that, you will need to enable the module preview mode. From your site back-end, go to: Extensions » Templates then click the button: Options. In the setting panel, please enable the option Preview Modules Position. This option will help you preview available positions of current template then save the setting. DONE! Now you can view the available positions in front-end by accessing your site front-end, and add the append ?tp=1. For example: http://mydomain.com/index.php?tp=1. How to assign module to a position ? 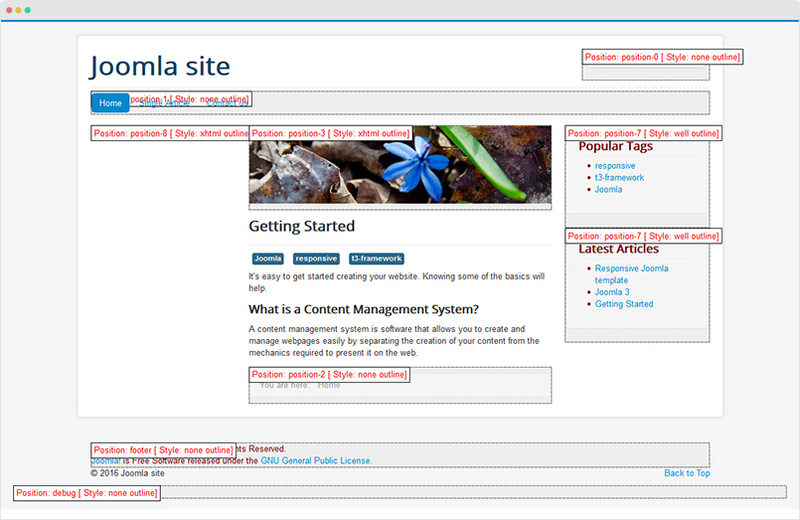 In this tutorial, we will create a search module on the right sidebar - position-7 position. Go to Extensions » Modules, hit the "New" button to create new module. In the available module types list, select module you want "Search" module type. In this case, we select "Search" module. 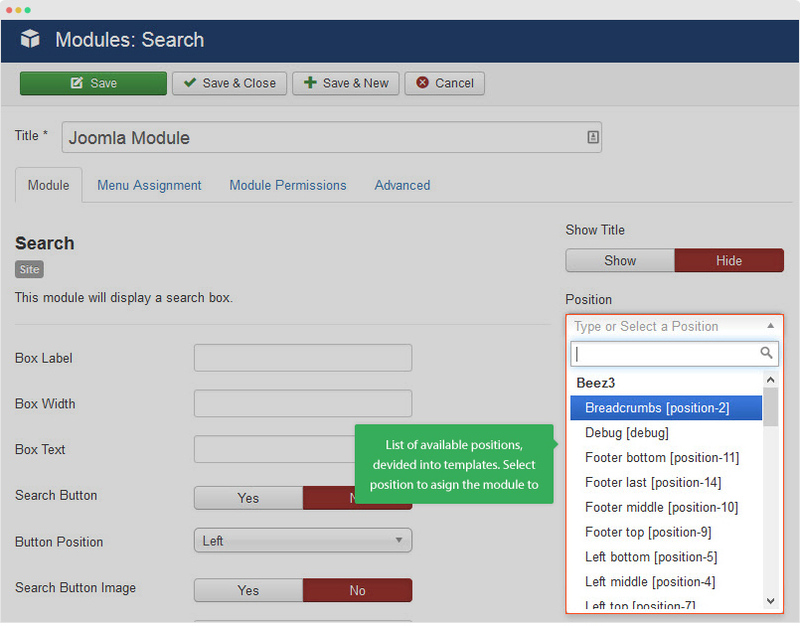 In the module configuration panel, hit the Position dropdown, you will see list of availabel module positions, the positions are devided into template (as each template could have different positions), you should select the position of template that is active in the pages you are going to assign the module to. Done! Open the front-page and you will see the module is published in the position you assigned. You display as many modules as you want to 1 position. Here is an example, you can see that, there are 3 modules on the right sidebar. You can set the order of those modules, in short, you can set which module to display first. Access the module manager page: Extensions » Modules. You can filter modules by position. Now, select Ordering sort type. The order in the back-end is the same as the order in front-page. What happens when you change template ? As mentioned above, module positions are defined in the template code and it is different from templates depending on the developer and template's requirement. 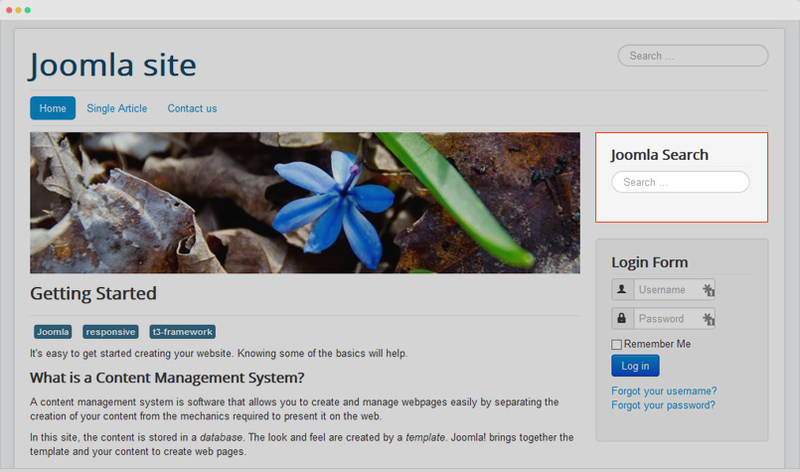 In case you switch template, you will need to change positions for modules used in your site. For example, your site is using Protostar template, the Search module is assigned to position position-7 (the module will be displayed in right sidebar). When you switch your site to an other template, for example: T3 Blank, the right sidebar is position: sidebar-2, that means, you will need to change the position of the Seach module to new position - sidebar-2.